Murder by Gaslight: Jack the Slasher. 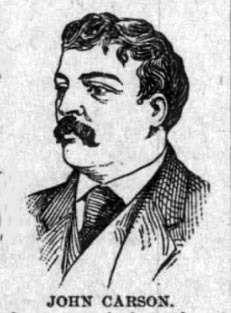 On January 17, 1892, Officer Masterson of the New York City Police arrested a man the police and press had dubbed “Jack the Slasher.” Since December 29, Jack the Slasher had been on a rampage, cutting the throats of seven men with a straight razor, leaving one of them dead. 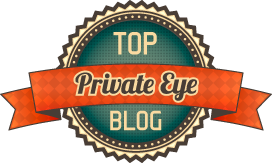 About 3:00 AM, the morning of the arrest, Officer Masterson noticed a hard-looking man walking the streets of the Bowery and followed him to see what he was up to. The man stopped for a minute to speak with a drunk, then led the drunk down James Street. Masterson rushed in when he saw the man attack the drunk, pulling a razor across his throat. When saw the officer, the assailant fled; Masterson fired three shots which missed but attracted the attention of other officers in the area. The policemen ran him down and put him under arrest. The victim, William Muller was taken to the hospital; his wounds were sever but he would recover. Jack the Slasher was actually Henry G. Dowd, a 30-year-old, mentally ill man who had spent much of his adult life in mental institutions. He spent several years in the Flatbush Insane Asylum before escaping in 1874 by picking a lock and climbing through a transom. Soon after, he was arrested for assault and sentenced to five years in state prison. He served two years then was pardoned through the influence of rich relatives. In 1891 he was arrested in New York, judged to be insane and committed to the asylum on Ward’s Island. Six months later he was pronounced sane by a jury of experts and released. 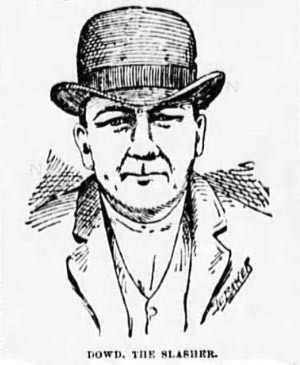 Inspector Byrnes of the New York Police intensely questioned Dowd and got him to admit to several of the slashings. He said that the impulse to kill was uncontrollable; he wanted to kill all Dutchmen and Germans. The reason for this is that a German had once ravished his mother at their home in Brooklyn. The face of the ravisher still haunted him, and he wanted to kill any man who looked like him. 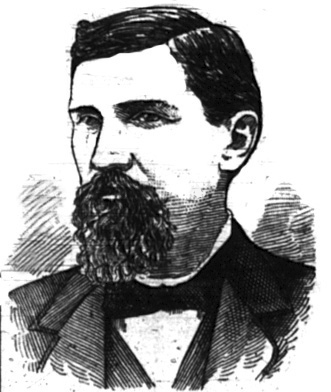 When it was learned that Henry Dowd had been born in England and had traveled back several times to his homeland, it was speculated that Dowd may have, in fact, been London’s Jack the Ripper come to America. Inspector Byrnes was quick to point out that Dowd’s time was accounted for and he was not in England at the time of the Whitechapel murders. It was impossible that he was Jack the Ripper. On January 29, Henry Dowd was tried for assault—there had not been enough evidence to charge him with the murder of John Carson, but he was caught red-handed cutting the throat of William Muller. Dowd had first claimed self-defense, Muller had shoved him and fearing for his life he defended himself. However, at his trial the plea was insanity. It did not take the jury long to return a verdict of “Not guilty on the grounds of insanity at the time of the commission of the act.” Jack the Slasher was committed to the State Asylum for Insane Criminals at Auburn, New York. “Is It Fear or Force?,” The Wilkes-Barre News, January 23, 1892. “'Jack the Slasher',” The New York Times, January 29, 1892. “'Jack the Slasher' Declared Insane,” New York Herald, January 30, 1892. “Carson's Slayer,” The Evening World, January 18, 1892. “Carson's Slayer,” The Times, January 19, 1892. “Dowd Is Not Responsible,” New York Tribune, January 30, 1892. 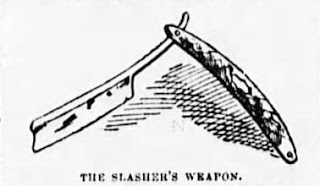 “Jack the Slasher,” The Sentinel, January 18, 1892.